Hey dear, as we are celebrating 'ONLY DIY MONTH' this July (2015) at My Indian Version, here is a first post from this celebration. 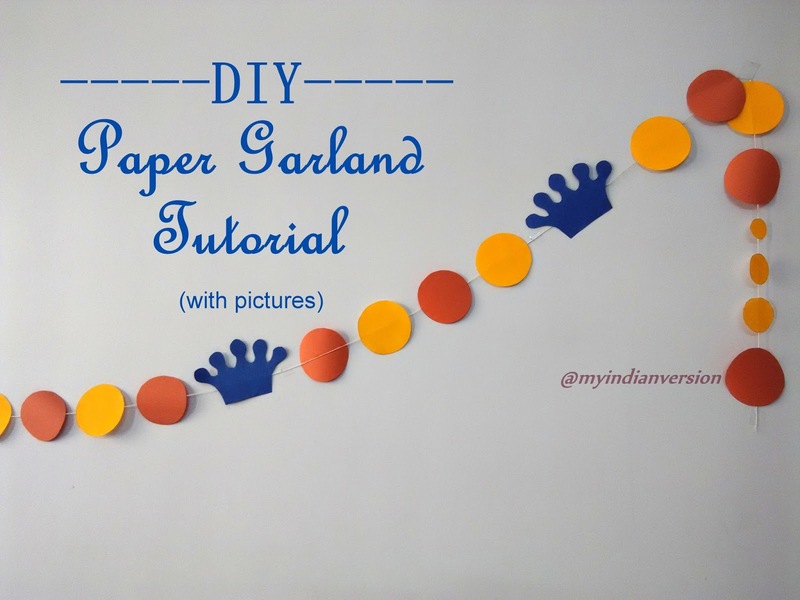 Today we will learn very easy, affordable, no-sew and fast DIY Paper Garland. 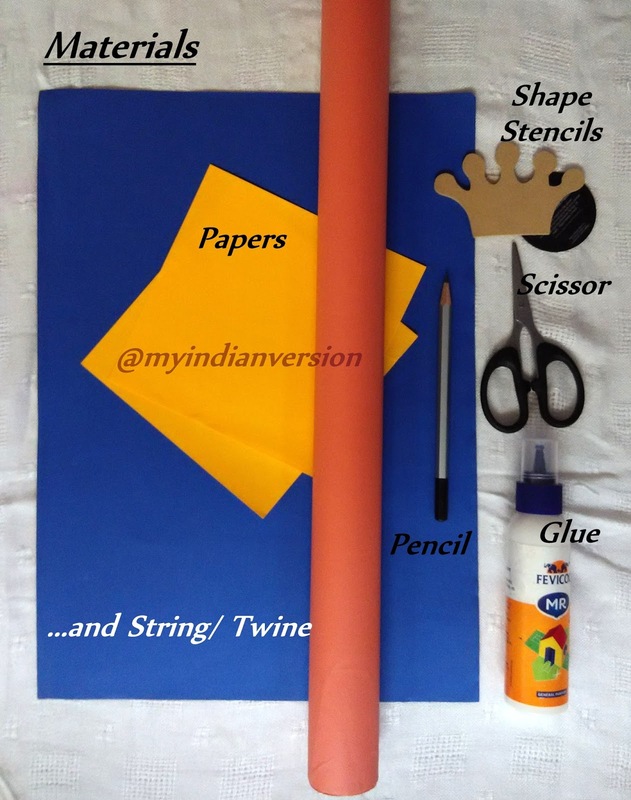 This is one of the easy paper decorations ideas you can make. You can use these paper garland for party decorations, birthday decorations and at many other occasions. Or you can simply use it as wall decor. Colorful paper garland on white wall looks beautiful. So without any delay lets start the DIY Paper Garland Tutorial. 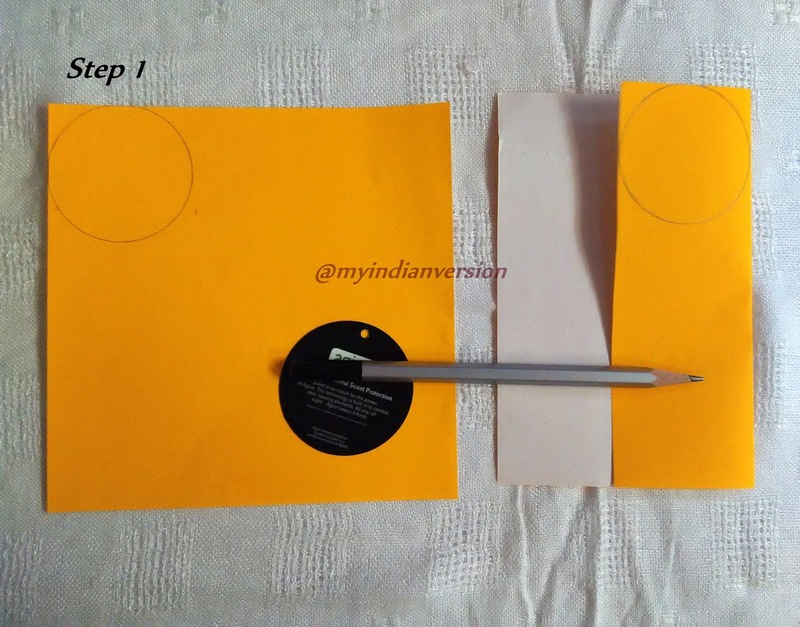 STEP 1: Using your shape stencil draw the outline on paper. Then fold the paper so that you can cut two pieces at a time. STEP 2: Draw the remaining outlines and cut them carefully. Try to keep the edges clean as possible. If you have a punch machine for large and small circles then punch them out using it. 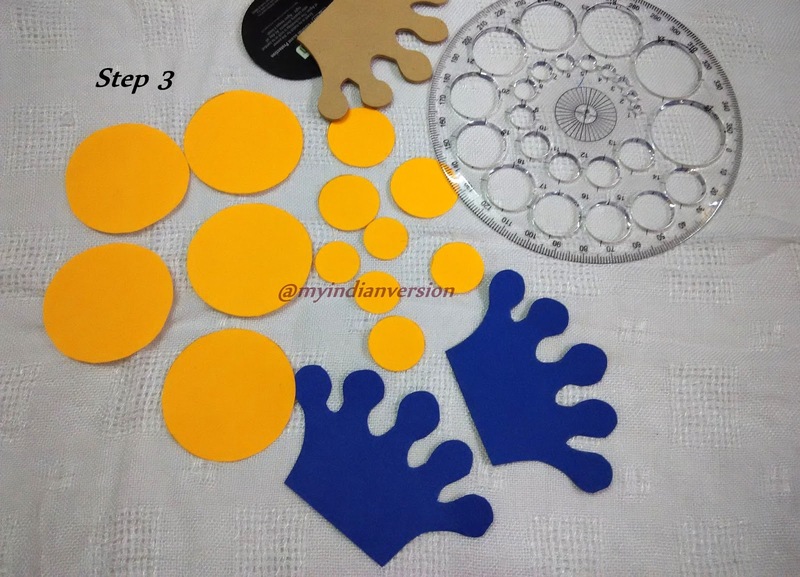 STEP 3: Cut out all the shapes you want. I have cut large circle (using black shape stencil), small circles (using the Pro-circle) and crown (using brown crown shape stencil). 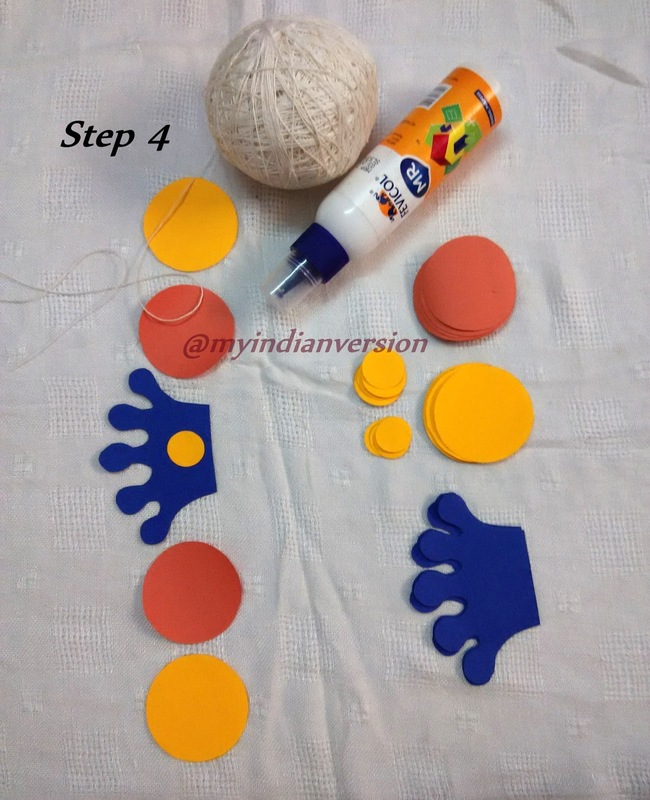 STEP 4: Arrange and rearrange the shapes until you get your desired look for garland. I have used 26 large circles, 6 small circles and 5 crown shapes in this project. 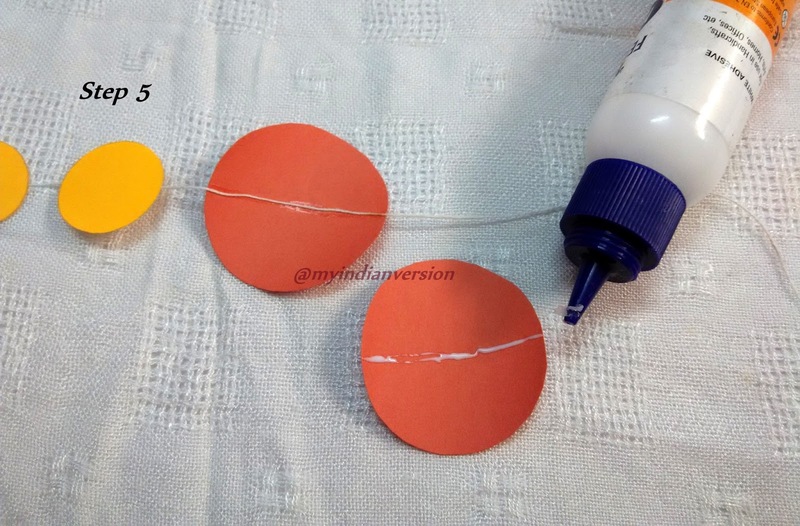 STEP 5: Once you have decided your garland's arrangement then apply glue in a line on each shape. The glue line should be approximately in middle of the shape. Then slowly keep the string/ twine on the glue line and pat it slightly. I have kept approximately 1 cm space between two circles. But it is totally your choice. 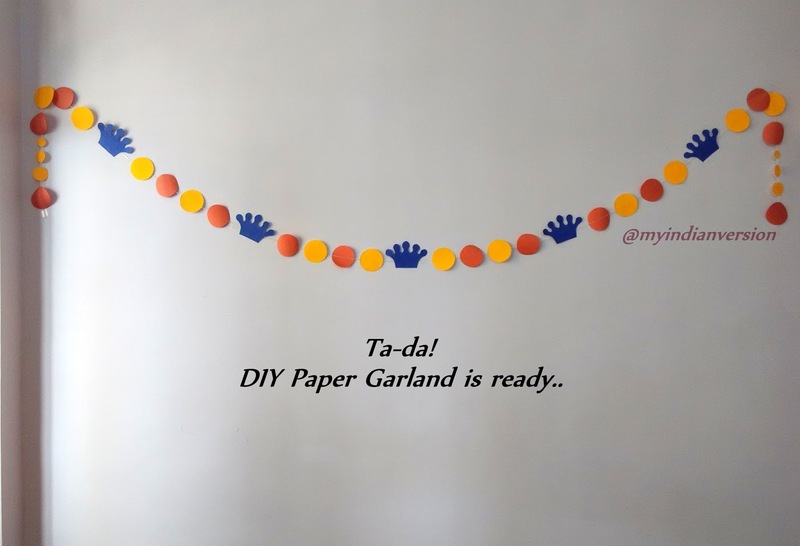 And our DIY Paper Garland is ready.....I have used clear cellotape to paste the Paper Garland on the wall. 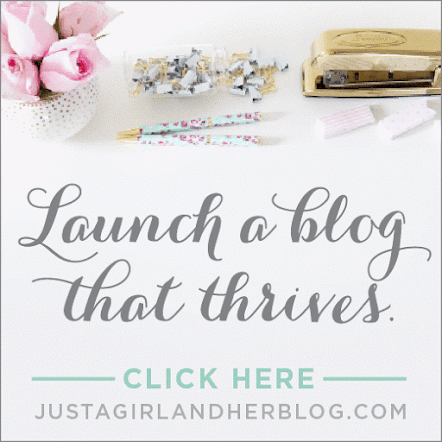 Isn’t it easy and affordable? 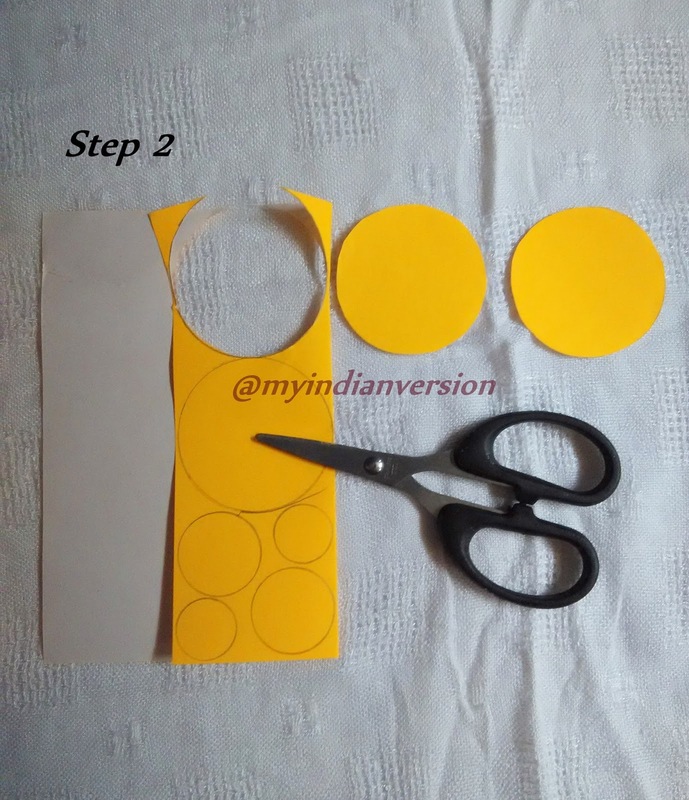 Make one, two or three as you wish and decorate your room or party quickly. 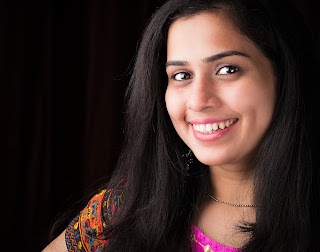 Click a photo of your Paper Garlands and share them with me on my (My Indian Version’s) Google+ and Facebook pages. 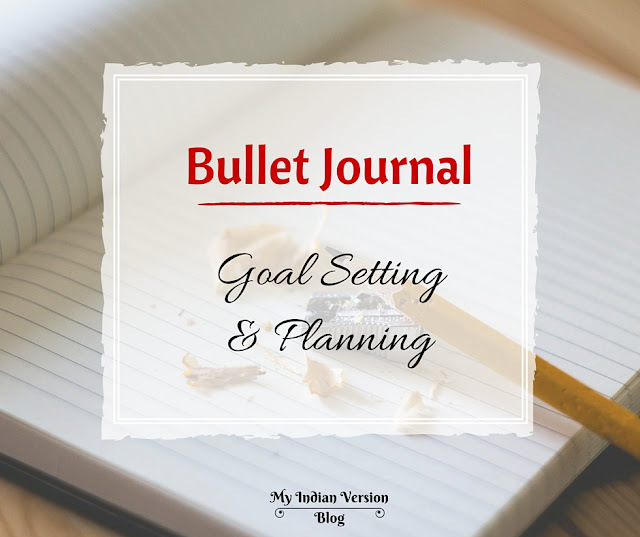 You can also follow me on Pinterest for new updates.